I’ve always been a big fan of the time period referenced in Georgette Heyer’s and Jane Austen’s books, so I was immediately drawn into this book. I love to know every single detail about the time period–in fact, the more obscure the information, the more my attention is piqued. Some of my favorite chapters were . . .
-Servants actually had their own social status; the steward and the Groom of the Chambers were the upper echelon, whereas you didn’t get much lower than a scullery or laundry maid. -Toilets were just coming into the picture. Besides the few wealthy enough to actually buy and install toilets in their home, a person could also use a chamber pot or a privy, which was located in the backyard. -A girl’s education was usually just reading, basic arithmetic and occasionally a foreign language or two. However, girls also were taught such talents as singing, painting, embroidery, dancing, sketching, and music. -Not only did a married woman lose control of any money or land she may own, but that’s not all. Even jewelry, clothing and household items became the husband’s possessions as well. -The majority of girls hoped to be married or affianced by their first season–if not, then definitely by the second, or third at most. -The men’s frock-coat wasn’t introduced until 1816. Until that time, a man’s coat would have two long tails in the back that reached to behind the knees. -You knew women always wore gloves, but did you know men did too?The fabric and color of the gloves depended on the occasion and time of day. -Morning dresses were rarely worn outdoors but could be as ornate and embellished as any other dress. My biggest issue with this book is that the references were over my head. 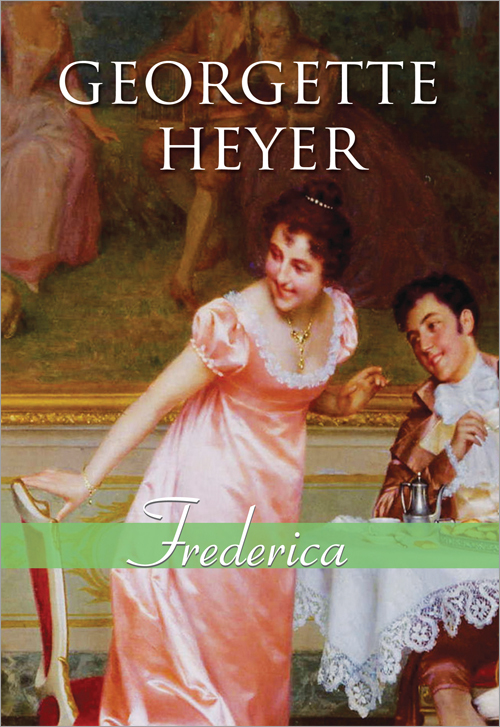 I have loved the Heyer books that I have read, but I haven’t read much, so when one of Heyer’s books was referenced pretty much every paragraph or two, I was a little lost. I was afraid of that before I even picked up the book though. Obviously, givene the title, I knew to expect that. Still, Heyer’s body of work is HUGE, so Kloester may have wanted to keep the references reigned in a bit more. 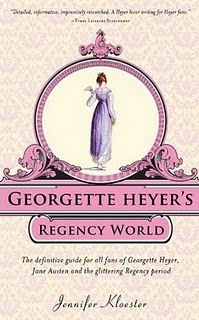 If you’re interested in this time period, this would be a great book to read for more background information, especially if you’re a Georgette Heyer fan!